In September of 2017, DC became a shall issue jurisdiction for concealed carry licenses as a result of the U.S. Court of Appeals for the D.C. Circuit's decision in Wrenn v. District of Columbia and District of Columbia v. Grace. Application procedures are relatively simple. Applicants must fill out a three page form available on line from the Metropolitan Police Department, which can be found at this link. The form can be filled out on line and printed. Applicants must take the form in person to MPD headquarters RM 3077, 300 Indiana Avenue, NW, Washington, DC 20001, Monday through Friday between the hours of 9 am and 5 pm. Hint: don't arrive after 4 pm and expect to be served. Bring two forms of identification. If you are not a DC resident, you must provide proof of the issuance of a carry permit from another jurisdiction. It need not be your home state. MPD will take your fingerprints and charge you a total of $110 ($75 for the application and $35 for your fingerprints). As part of the application fee MPD will register one carry handgun. Additional carry handguns will cost $13 each. Credit cards are accepted, but checks are not. Non-DC residents must register any handgun they intend to carry. Possession of an unregistered firearm in DC with minor exceptions is a crime. Registration is accomplished on Form PD219. That form is also available and fillable on line at this link. DC requires proof of training by an MPD Concealed Carry Instructor of 16 hours classroom and two hours range training. The 16 hours of classroom training must cover statutorily mandated subjects including: (a) Firearm safety, including firearm safety in the home, a discussion of prevention of access by minors, locking and storing of firearms, and use of safety devices such as secure lock boxes; (b) Firearm nomenclature; (c) The basic principles of marksmanship; (d) The care, cleaning, maintenance, loading, unloading, and storage of pistols; (e) Situational awareness, conflict management, and moral and ethical decisions on the use of deadly force; (f) Defensive pistol and ammunition selection; and (g) DC and federal laws regulating firearms and DC law of self-defense. The two hours of range training must include a 50-round qualification from a maximum distance of 15 yards with a minimum score of 70 percent. DC regulations give MPD discretion to waive all or part of the training requirement for persons with prior military or other training. What we are seeing since DC has become a 'shall issue' jurisdiction is that MPD is reluctant to exercise that discretion. To obtain a waiver, MPD is requiring 16 hours of training within two years of granting the application and requiring documentation, such as course syllabi, that the training taken meets each of DC's various requirements, including the 50-round range qualification score. Even with a waiver, DC will not waive the requirement for training on Federal and DC laws regulating firearms and DC law of self-defense. That training is mandatory from a DC licensed concealed carry trainer. Completion of training is not required in order to submit the application. Currently, despite regulations requiring the applications to be processed within 90 days, DC is taking more than 120 days in processing applications. If you desire to obtain a DC Concealed Carry License, we urge you to submit the application as soon as possible and complete training in the meantime. Arsenal Attorneys' George Lyon is a DC licensed concealed carry trainer. He regularly offers the training required for DC Concealed Carry Licenses, including a the full training requirements taught over two days or just the training required in DC law in three hour seminars. Arsenal Attorneys will host a seminar by George Lyon on Self-Defense Law, which will include the DC law requirements, on March 10 at NRA Headquarters in Fairfax, Virginia. More information can be found at this link. Arsenal Attorneys is a law practice handling a variety of legal matters with a special emphasis on firearms and Second Amendment law. The firm is particularly renowned for its Arsenal Gun Trust solution, which it offers in nearly every state of America. Arsenal Attorneys also provides criminal defense, business services, and traditional estate planning in Virginia and the District of Columbia. Arsenal Attorneys made a presentation on estate planning for firearms at the meeting of the National Capital Chapter of Safari Club International in Sterling, Virginia on February 21, 2018. The program addressed the recommended estate planning solutions, how to address firearms law and gun safety concerns in an estate plan, and how to use a trust to register firearms regulated under the National Firearms Act (NFA). The audience were particularly interested in the immediate benefit of using suppressors for hunting. The evening included an extended conversation on the importance of planning ahead so loved ones have a lawful and safe means to inherit a gun collection. As we often caution our clients, you want your loved ones to inherit your arms, not a felony. Arsenal Attorneys serve clients nationwide by offering its Arsenal Gun Trust solution, which is popular for registering, possessing, and inheriting NFA firearms, including silencers/suppressors, short barrel rifles (SBR), short barrel shotguns, and machine guns. The firm also provides a wide range of legal services in metropolitan Washington, DC, including Virginia and Maryland. Our practice areas include estate planning, business law, LLCs, contracts, real estate law, landlord-tenant law, criminal defense, restoration of rights, and more. Contact us at 703-291-3312 to discuss your goals and legal concerns. According to news reports, ex-Mississippi governor Haley Barbour was arrested after a loaded .38 caliber revolver was found by TSA screeners at an airport x-ray machine in Jackson, Mississippi. "This was absentmindedness and nobody’s fault but mine,” Barbour told the Associated Press. Arsenal Attorneys regularly represent clients in similar incidents at Reagan National Airport and Dulles International Airport. It shall be unlawful for any person to possess or transport into any air carrier airport terminal in the Commonwealth any (i) gun or other weapon designed or intended to propel a missile or projectile of any kind, (ii) frame, receiver, muffler, silencer, missile, projectile or ammunition designed for use with a dangerous weapon, and (iii) any other dangerous weapon, including explosives, stun weapons as defined in § 18.2-308.1, and those weapons specified in subsection A of § 18.2-308. Any such weapon shall be subject to seizure by a law-enforcement officer. A violation of this section is punishable as a Class 1 misdemeanor. Any weapon possessed or transported in violation of this section shall be forfeited to the Commonwealth and disposed of as provided in § 19.2-386.28. The provisions of this section shall not apply to any police officer, sheriff, law-enforcement agent or official, conservation police officer, conservator of the peace employed by the air carrier airport, or retired law-enforcement officer qualified pursuant to subsection C of § 18.2-308.016, nor shall the provisions of this section apply to any passenger of an airline who, to the extent otherwise permitted by law, transports a lawful firearm, weapon, or ammunition into or out of an air carrier airport terminal for the sole purposes, respectively, of (i) presenting such firearm, weapon, or ammunition to U.S. Customs agents in advance of an international flight, in order to comply with federal law, (ii) checking such firearm, weapon, or ammunition with his luggage, or (iii) retrieving such firearm, weapon, or ammunition from the baggage claim area. Arsenal Attorneys is renowned for our nationwide firearms law practice, but our firm also provides the full range of estate planning services to local clients in nearby areas of Northern Virginia and the District of Columbia. Contact us to discuss your goals for estate planning. Remember, estate planning is not just about inheritance. A complete estate plan should first protect you during your own life time. For example, a Durable Power of Attorney, an Advance Medical Directive, as well as a revocable trust can protect you by naming fiduciaries to act on your behalf and for your support and care in case you're incapacitated. A good estate plan can also help your loved ones inherit more easily and with greater protections. For example, your estate plan could appoint a guardian for your children and appoint a trustee of a trust to be created for a minor if/when a young person inherits from you. Of course our Arsenal Gun Trust serves as an estate plan specifically for gun collections. In addition to helping you register and share possession of firearms regulated under the National Firearms Act ("NFA", e.g. silencers, short barrel rifes/shotguns, machine guns), the Arsenal Gun Trust guides your loved ones in the safe and lawful inheritance of your gun collection. Contact Arsenal Attorneys to discuss your estate planning goals. Arsenal Attorneys' George Lyon will present a seminar on "Self-Defense Law and DC Carry Permits" at the NRA Headquarters Range in Fairfax, Virginia, on Saturday, March 10 at 2pm. 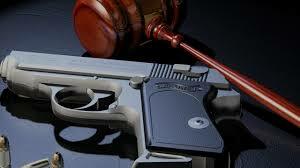 The program will inform all gun owners of the legal issues related to the lethal use of force. The program will also satisfy the training in the firearms laws of the District of Columbia required for DC carry permits. Nonresidents are eligible for DC carry permits. Following the approximately three hour program, Mr. Lyon will be available to answer questions about DC carry permit applications. George Lyon is a lawyer with Arsenal Attorneys handling litigation, criminal defense, firearms regulations, Second Amendment, and other areas of law. 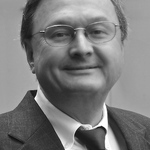 Mr. Lyon has decades of experience in complex lawsuits for corporate clients. Mr. Lyon has played an instrumental role in numerous historic cases. He was one of the original plaintiffs in the case that became the Supreme Court's landmark Heller decision. Recently, Mr. Lyon was a plaintiff in the Palmer case which first compelled DC to issue carry permits. Mr. Lyon represented clients in multiple successful lawsuits in DC and Maryland which overturned bans of stun guns for self-defense. The fee for the seminar is $95. To enroll, pay the $95 fee at this link--PLEASE include a note that your payment is for the March 10 seminar. You may also contact Arsenal Attorneys at 703-291-8838 to enroll. Please note, this program does not include the handling or operation of firearms. Participants must comply with all safety guidelines and rules of the NRA Headquarters Range.